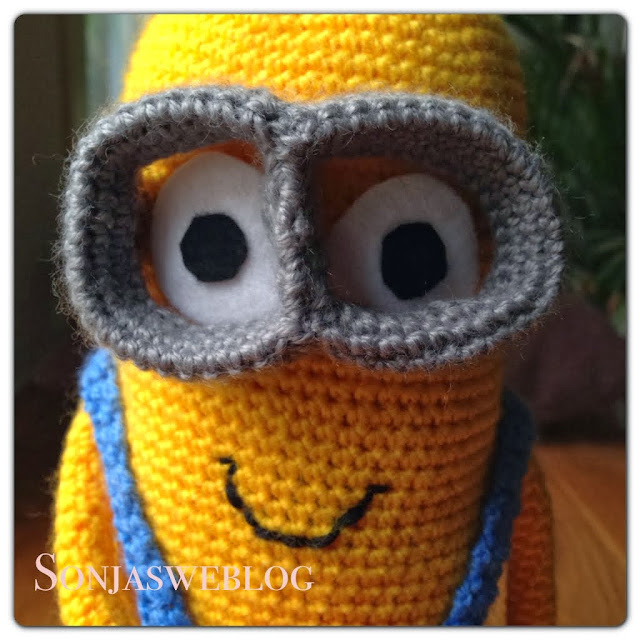 S O N J A S W E B L O G: Minion completed! Another amigurumi finished! :-) This minion project consisted of many details, tiny little things to crochet and to sew together, for example the fingers/ gloves. Did you know the minions only have three fingers? I wouldn't know if Stephanie from All about ami didn't write about it . 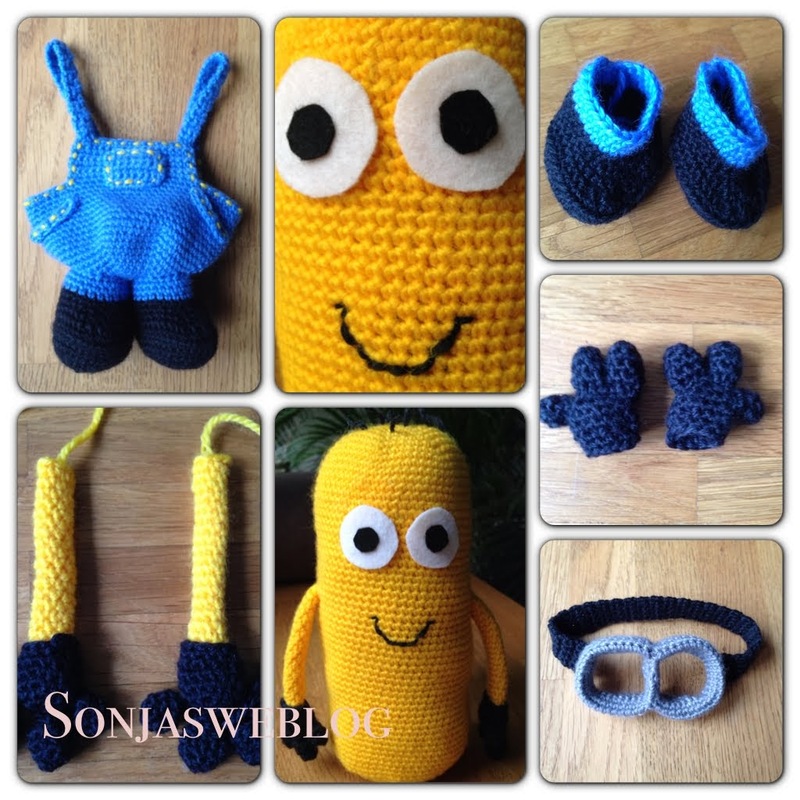 I followed her pattern for the minion and got some inspiration for the face from Stephanie's crochet corner, a post with pictures of other crocheted minions. Until I cut out the eyes from felt and stitched on the mouth it looked more like a giant medicine capsule. But a "face" changed it all! I used quite a bit of glue to attatch the eyes, the gloves and the pockets of the overall. With yellow yarn I did a little embroidery on the overall and it's pockets. Then I put everything together. Contrary to the pattern I didn't used upper and lower eyelids. I crocheted them and tried to fix them onto the face. But I liked the look without eyelids much better. So this minion has none. The trademark goggles though are indispensable! 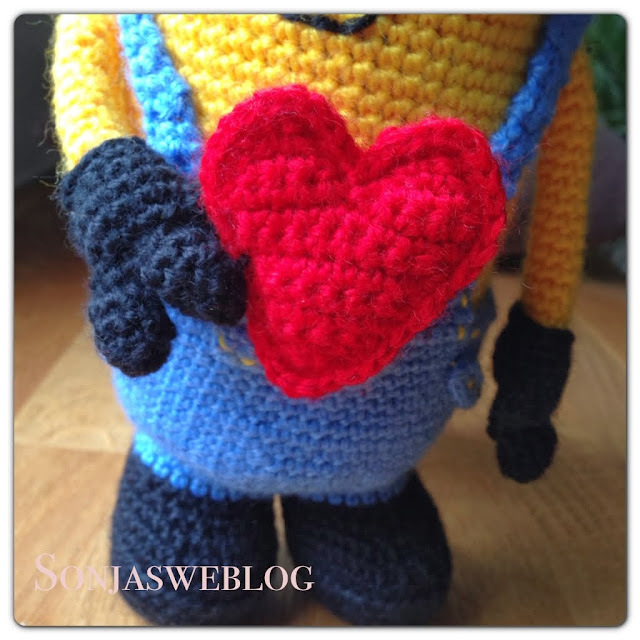 My sister wanted the minion to hold a heart just like in the picture from the crochet corner. So I crocheted a little heart too and fixed it onto the glove. 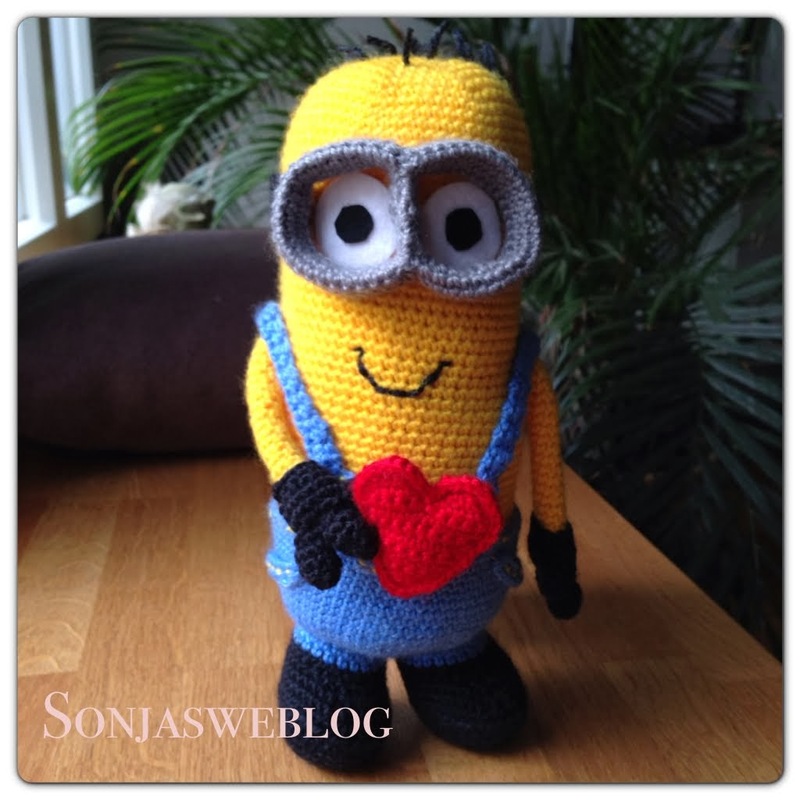 He is about 23 cm tall and needs something to rest his back in order to stand on his little feet. I should have used some rice to stuff the shoes instead of cotton only. But still, I love the minion very much. 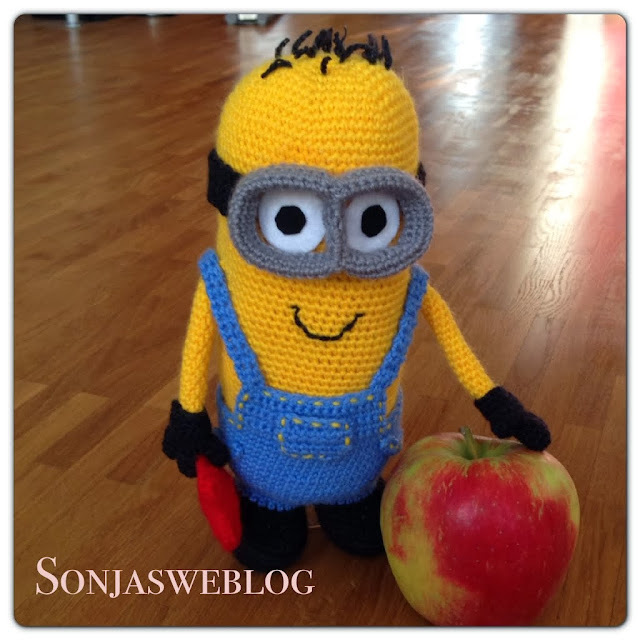 Cute little amigurumi, looking forward to see the second part of your movie soon!